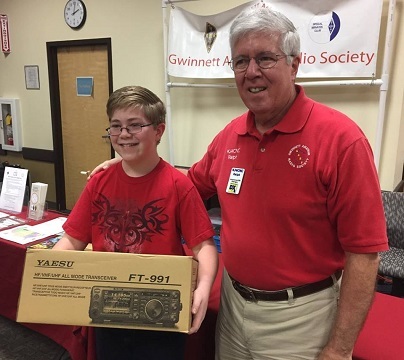 For 2018, we will be raffling off a Yaesu FT-991A. The Raffle Prize drawing will be held at 2:00pm at the GARS table, immediately after all the Door Prizes have been given away. Raffle Prize tickets are separate from Door Prize tickets. Raffle Prize tickets must be purchased. The Raffle Prize will only be drawn from the Raffle Prize tickets. 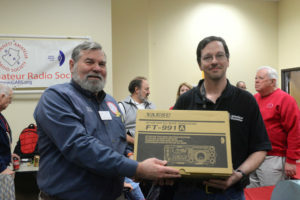 Door Prizes will only be drawn from the FREE Door Prize tickets, so be sure to get your FREE Door Prize ticket when you enter the TechFest venue. ADVANCE TICKET SALES ARE NOW CLOSED. PLEASE PURCHASE YOUR TICKETS AT TECHFEST. Tickets will also be available for sale at TechFest.